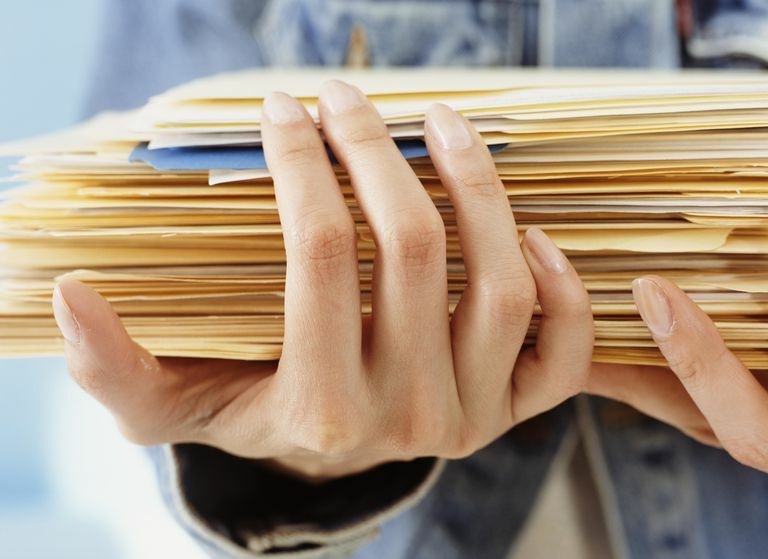 It's difficult to determine which documents are important and relevant enough to bring to a child custody hearings, but knowing how to separate irrelevant paperwork from the paperwork that can swing the hearing in your favor makes all the difference. Although a consultation with an attorney should give you some solid ideas, this list might help as well. If you're confused about what to take with you, too much documentation is always better than too little. It's better to have it and not need it than to need it and not have it. You won't want to just show up in court with your documents. All custody proceedings begin with written submissions to the court outlining your position and clearly stating what you're asking the court to order. If you're beginning a custody suit and acting without an attorney, it's usually a good idea to include copies of any documentation you gather as supporting proof of your arguments when you make your written submission. You'll want the judge to see the paperwork before you get to court. He won't be considering your case for the very first time when you appear before him — he's already reviewed all written submissions so he's familiar with the matter. If your child's other parent initiates custody proceedings, you can assume that he's included his own proof when he made his own written submission. You must receive a copy of the paperwork he gave the court — that's the law. Read it over carefully. You have a right to respond to his submissions in writing. This will provide a good guide toward what additional documentation you'll need beyond this list, and what to gather to refute his comments. Make copies and submit them with your written answer. Take additional copies to court with you as well, just to be safe. Even court staff sometimes lose or misplace paperwork, so you'll have it with you in the case of emergency. Now, what exactly should you include? Both parents should keep a diary of all phone calls made between the child and the parent who does not currently have custody. The log should include when the calls occur, how long they last and their frequency. Do they take place every night or afternoon? Every week? Maybe twice a week? Include their nature. Are they just talking on the phone or are they Skyping? These records are evidence of continuous contact between you and your child if you don't have custody, or perhaps the lack of regular contact between your child and his other parent if your child is currently living with you. Be careful with this, however, because it's possible that the non-custodial parent might take the position that he didn't call more frequently because of some action you took, like not letting him speak to his child or getting into an argument with him before turning the phone over. Courts tend to take a very dim view of a parent who tries to curtail or impede her child's relationship with the other. Otherwise, a lack of regular phone contact can reveal to a judge that your ex only calls the child a few times a year, maybe on birthdays or holidays. This may indicate that he doesn't have a close relationship with her. Parents should also keep a log of visitation between the child and the child's other parent. A visitation schedule log should include when visits occur, where they occur, how long they last and their frequency. A non-custodial parent who's trying to get custody can utilize this information in court to prove a continuous and meaningful relationship with the child. A custodial parent might use a log of visitation schedules to prove the lack of a continuous relationship between the child and the child's other parent. For example, if that parent only sees the child for short periods of time once every few months, it may be indicative that the parent doesn't have a significant interest in maintaining close relationship with the child, but always subject to the caveat that if he's not seeing her, it's not due to something that you've done to prevent it. Consider including your child's report cards and other written documentation from others showing how well she does while in your care — or vice versa. If your child is repeatedly injured while in her other parent's care, including doctor reports and emergency treatment records. Consider getting written statements from teachers, coaches, even your neighbors if they have first-hand knowledge of the relationship between you and your child, and the relationship between your child and your ex. A judge might order a custody evaluation in a truly contentious dispute to get to the bottom of things. A trained professional will meet with your child, usually repeatedly, and may visit both parents' homes as well. It's the professional's job to report back to the court with a custody recommendation. You don't have to wait for the judge to order one, however. If you're engaged in a particularly contentious custody battle, consider asking the court to order an evaluation or to allow you to hire an expert. For more information about relevant documents pertaining to child custody, speak with a qualified attorney in your jurisdiction. If you don't feel that you can afford an attorney, look into legal aid in your area.